Taking over the Lucien restaurant space, the new East Thirty-Six restaurant and cocktail bar is now open at 36 Wellington East, featuring a flair for haute French cuisine and craft cocktails brought to you by the duo of Chef Brent Maxwell and mixologist, Julien Salomone. Chef Brent Maxwell’s career includes many from the Oliver & Bonacini portfolio of restaurants: LUMA, Auberge du Pommier, Canoe, and Biff’s Bistro. 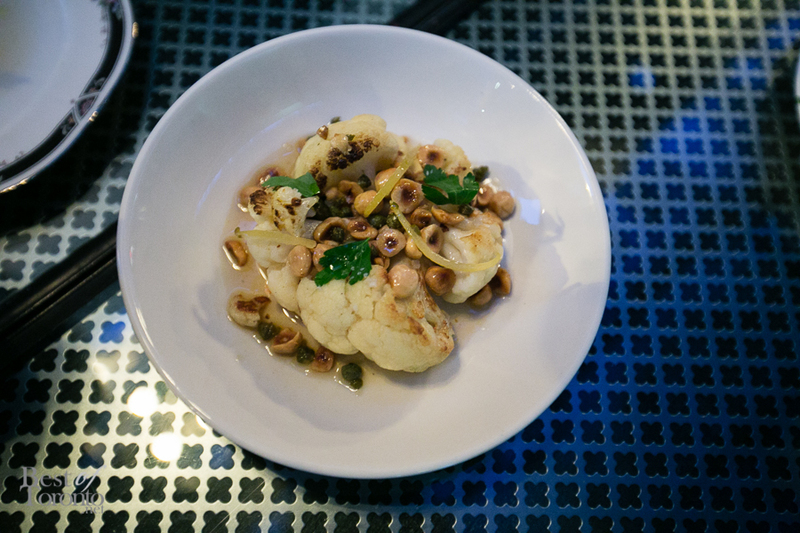 In his latest undertaking at East Thirty-Six, the texture and meticulous attention paid to the details of dishes are delightfully evident such as when combining capers and macadamia nuts in a cauliflower dish slow-cooked in brown butter. Amazing as an appetizer. 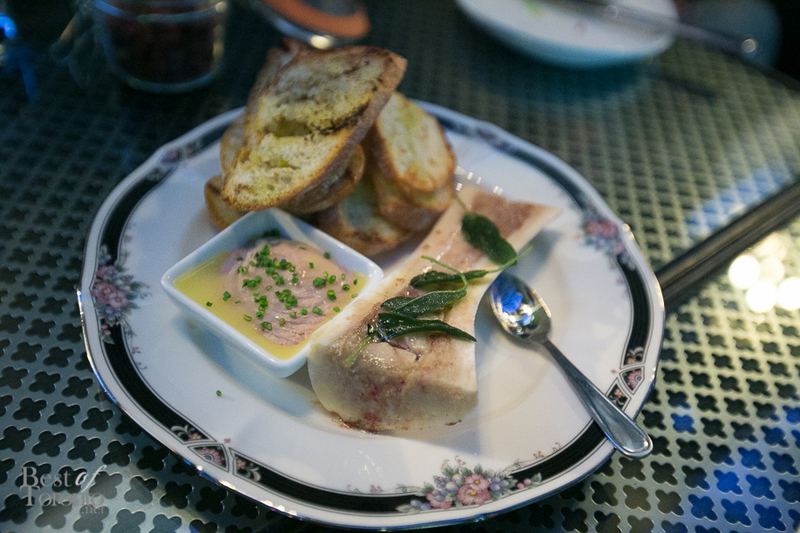 My absolute favourite was the completely delectable bone marrow with chicken liver parfait and toast. And I appreciate the emphasis on smaller portions served as sharing plates because life is too boring to only sample one entree per night. With East Thirty-Six boasting to be a craft cocktail bar, mixologist Julien Salomone brings his wealth of experience from One, Auberge du Pommier, and Nota Bene, making a variety of syrups and liquors in-house. 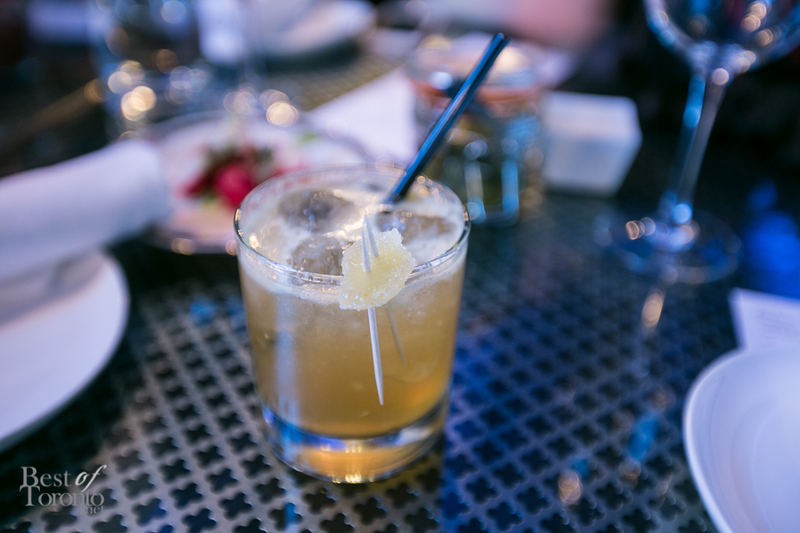 My favourite cocktail was “Rum Row” featuring house-made spiced rum blended with apricot liquor, lemon juice, ginger syrup, and tonic float. East Thirty-Six seats 70 in a comfortably dark and decorated setting. 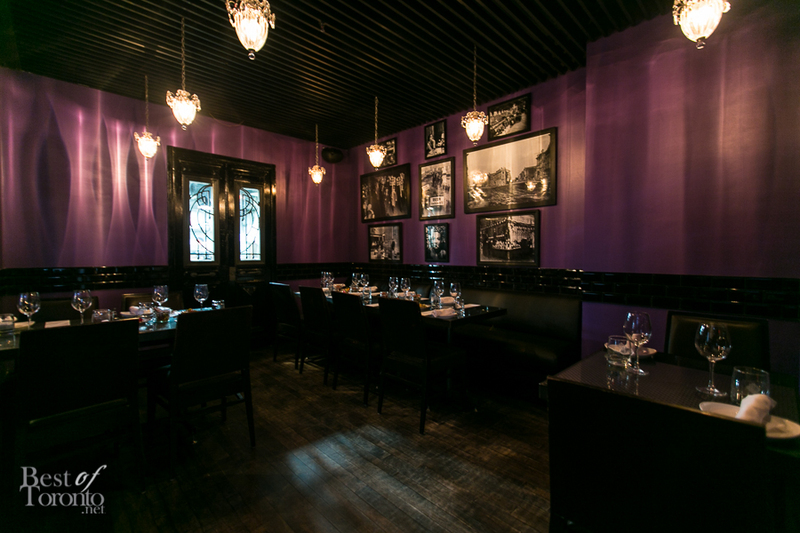 There’s also a raised, semi-private “Purple Room” dining area in the back perfect for casual socializing. 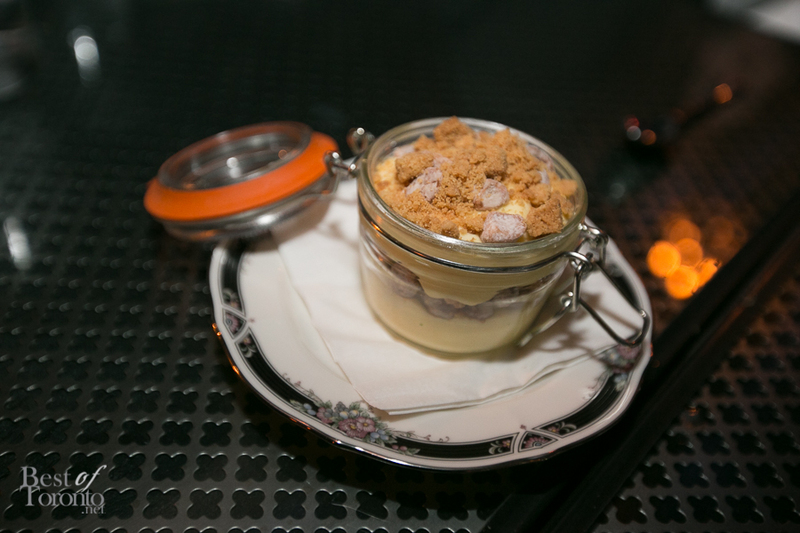 Be sure to visit East Thirty-Six to try a taste of rich and flavourful haute cuisine, open daily from 4pm. 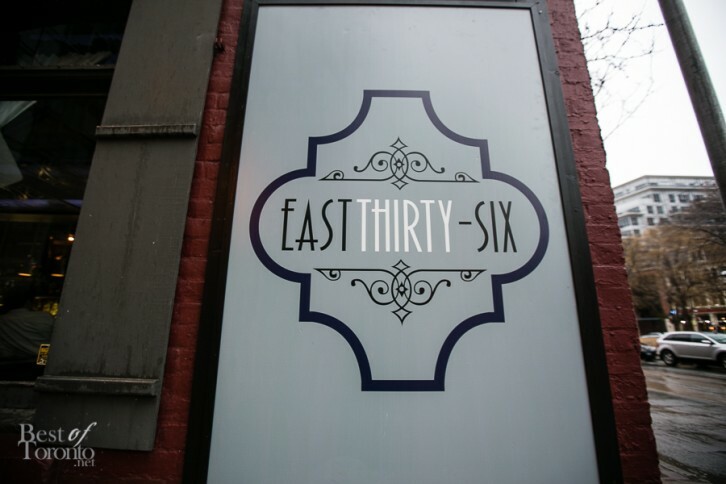 For more info about East Thirty-Six and to make reservations visit www.eastthirtysix.com.